In Myanmar, formerly Burma, smallholder farmers in Ywangan began growing coffee in the early 1980s, as a substitute crop for poppies. 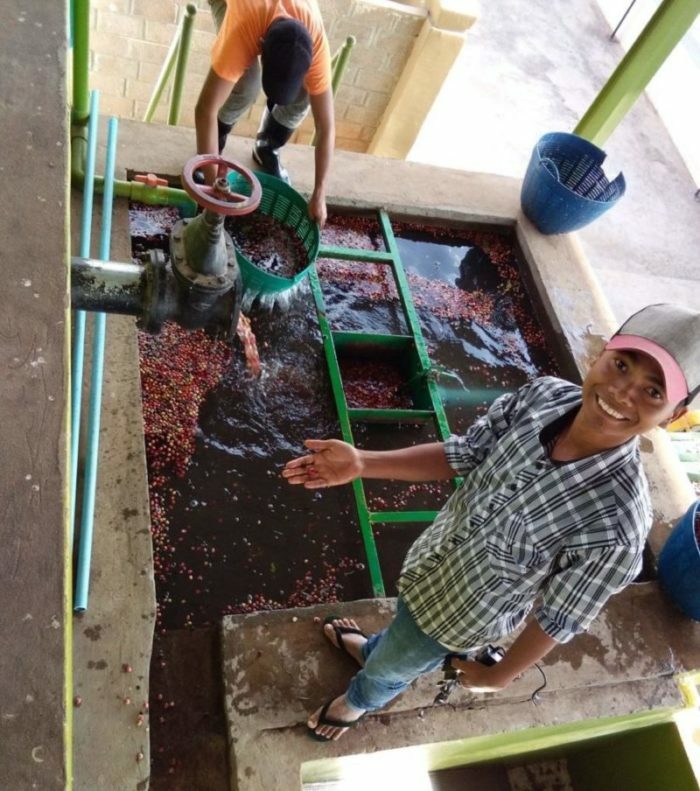 Farmers here typically own a quarter to half an acre, on which they intercrop a few varieties of Arabica coffee with crops such as avocado, jackfruit, jengkol beans, papaya and shady macadamia trees. This coffee comes from the Mandalay Coffee Group (MCG), which was formed in 2014 and has 741 farmer members from 28 villages in Ywangan. MCG is located in Pyin Oo Lwin, a town at 1,067 masl, outside of Mandalay. Pyin Oo Lwin, Ywangan and Mogok are the primary areas for Arabica production in Myanmar. Cherry arrives at the mill within 48 hours of harvest and is floated, pulped, sent through a mechanical demucilage machine and fermented in concrete tanks using an aerobic method (the tanks are sealed allowing oxygen to escape but not enter). The waste water is later treated and recycled for use on the farms. The coffee is then dried in the sun on patios, where it’s turned every hour.